Scuba diving is one of the most beautiful, adrenaline-pumping, exhilarating and self-exploring sports that you can ever take part in. It provides you with the ability to breathe underwater, becoming one with marine life, which is an experience like none other. You can experience a different world full of brightly colored corals, abundant marine life of all shapes and sizes, with stunning underwater scenery. If you’ve never tried scuba diving, make sure that you try it out on your next vacation, or even better yet, book a vacation especially to scuba dive. You can pretty much travel to any location on the ocean and enjoy epic sights under the water. A few years ago, I taught a couple their open water scuba diving certification in Thailand. I love taking divers here as quite often, you’re met with incredible marine life including the elusive pink dolphins, a sub-species of the Indo-Pacific humpback dolphin. There is nothing like taking fledgling divers out on their first open water dive and being met with dolphins playing in the waters around us. When the dive was over, I lead the couple back to where we had anchored the boat. Just as we reached the ladder, I noticed the current begin to change, and almost instantly, we were swarmed by huge quantities of trash and plastic. Out of nowhere, this stunningly beautiful underwater world became a cesspit of trash. As I watched the dolphins playing behind me with a plastic bottle, I knew then and there that something had to be done about this devastating issue. This is why I am now an advocate for the ocean and spend my days teaching others about saving the environment as well as sustainable living. Watching those poor dolphins swimming around the trash really spurred me on. There are so many cases now where whales, dolphins, and even porpoises are stranding and dying due to the damage of ocean pollution. When marine specialists look for the reasons for the strandings, they often find huge quantities of plastic lodged in the cetaceans’ digestive tracts. If you’re on a diving trip and see trash or plastic floating around you, make sure to pick it up and place it in the pocket of your buoyancy control device. It is not possible for an individual to collect all the trash, however picking up a piece may be all that’s needed to save a marine animal’s life. Once you’re on dry land, dispose of it appropriately. When out in the ocean, if you find a cetacean struggling, look for a cause. It is quite common to see them trapped in old fishing nets. In the US, it is illegal for divers or swimmers to approach a marine mammal without a permit from the NOAA (National Oceanic and Atmospheric Administration). However, if you see a cetacean in distress, the best thing to do is contact the local authorities and let them know about the situation. Include your GPS coordinates, if possible and stay with the animal until help arrives. If you find a marine animal in distress along the coast of Northern California, please report this to The Marine Mammal Center. If you find a cetacean that has become entangled, please report this to the Whale Entanglement Team. Ghost nets are sadly a common problem for whales and dolphins as well as turtles. If you see a ghost net on one of your dives, get your fellow divers involved and help to gather it up and remove it from the ocean, preventing any more deaths. There are so many ways that we can change our daily lifestyles to help make a difference to the environment and the oceans. 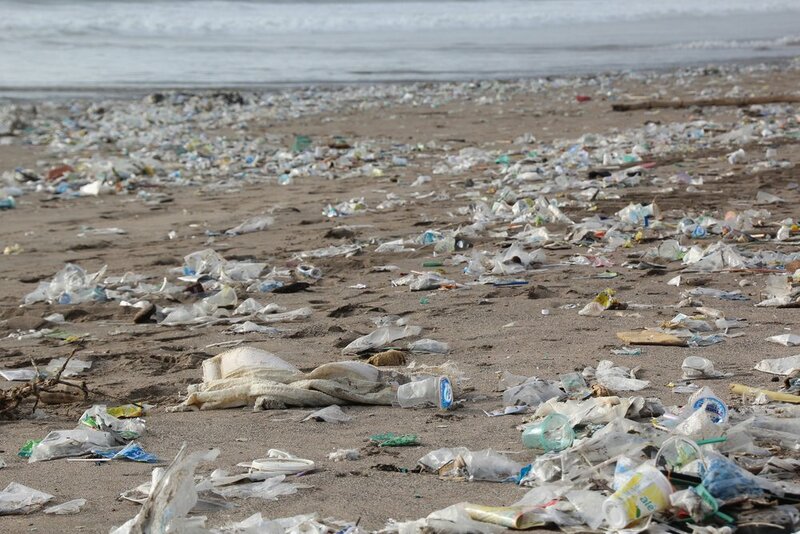 Single-use plastics are the worst factor of ocean pollution. So many cetaceans are harmed or killed by these free-floating plastics. Due to our consumerist lifestyles, we can’t escape from plastic however, we can limit it in our day-to-day life. When grocery shopping, avoid pre-packaged fruit or vegetables. Additionally, make sure you use reusable bags instead of single use plastic bags. For additional suggestions, check out an earlier ACS article about steps to reduce your plastic waste. When choosing your next travel destination, why not opt for an ecotourism company to take you on your next adventure? We all love to travel to pristine and beautiful locations, however, it is usually these locations that have the most fragile environments. To ensure that we as travelers protect these awesome places, we have to be responsible for their protection and their future. That is why traveling with ecotourism companies is essential. Ecotourism operators promote sustainable travel that not only benefits the local environment but also helps the local cultures and communities. The best thing about ecotourism is that it is not driven by money; it focuses on educating tourists and helping keep tourism going within a certain area in a sustainable fashion. Support an organization such as American Cetacean Society which is committed to protecting and conserving cetaceans and their marine habitats. By either getting involved directly with one of their projects or simply donating, you’ll be making a difference to the ocean and the marine life within. Torben Lonne is Founder and Editor-in-Chief of DIVE.in magazine and a PADI certified Master Scuba Diver Trainer (MSDT) instructor. He began diving at the age of 15, as soon as he could legally do so in Denmark. Upon finishing school in Denmark, he set out for Indonesia to begin his diving career. He completed his divemaster and instructor course in Bali and decided to stay a few years longer in this tropical diving paradise. His work as an instructor brought about the idea for DIVE.in magazine. You can contact Torben at torben@divein.com, Twitter or Facebook.